Uptown Marion will host the fourth annual Eat. Drink. 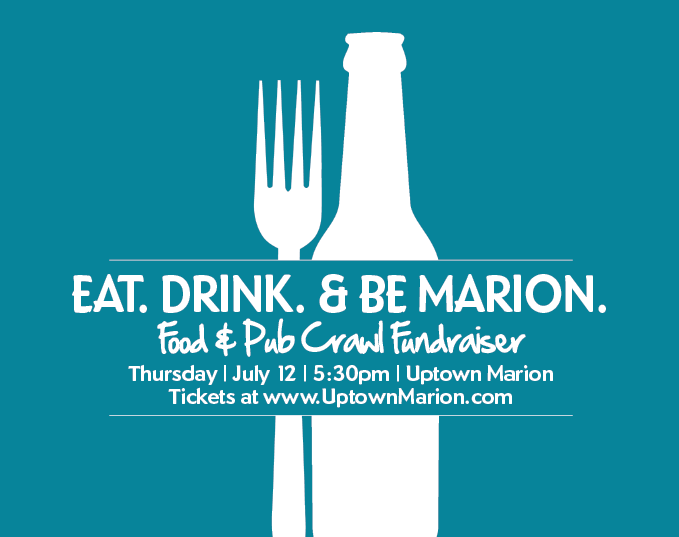 & Be Marion: Pub Crawl Fundraiser on Thursday, July 12, 2018, from 5:30 – 9:30PM. Enjoy a night out on the town for a good cause! With your ticket, you will receive a complementary glass and exclusive deals from participating businesses in the Uptown Marion District. Also, enjoy live entertainment and extended shopping hours as you walk to each participating establishment. Tickets proceeds benefit the ongoing revitalization and beautification efforts of Uptown Marion – A Main Street Iowa District. Must be 21 year or older to participate. Tickets are $30 per person, tax included, and will be available until July 11. Tickets may be purchased for $35 per person, tax included, the day of the event at the door on July 12. Online Ticket Sales close 7/11/18. Make your way behind Restoration Dental (1180 7th Ave) between 5:30pm-6:30pm to check-in! There, you will be able to pick up your complimentary glass, coupon book and map, swag bag and food samples before you head out for the crawl! Fun experiences in Marion are up for grabs via the silent auction. Check it out at registration. Enjoy a night out on the town for a good cause! With your ticket, you will receive a $1 drink sample and exclusive deals from participating businesses in the Uptown Marion Main Street District. Enjoy live entertainment and extended shopping hours as you walk to each participating establishment. *All ticket sales are final. This event is rain or shine. Must be 21 or older to participate. Stay up-to-date with the last information regarding participating businesses, auction prizes, and live entertainment by visiting our Facebook Event Page. For questions, please call 319-743-4726. ONLINE TICKET SALES ARE NOW CLOSED. 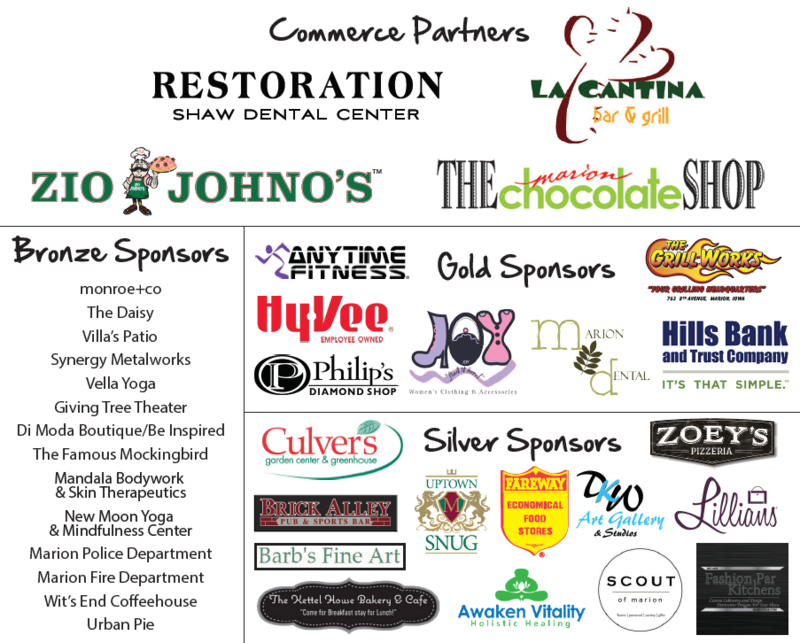 Tickets may be purchased for $35 per person at registration behind Restoration Dental starting at 5:30pm. Uptown Marion Main Street is a 501(c)(6) non-profit and is a subsidiary of Marion Chamber of Commerce. Uptown Marion Main Street’s mission is to drive continued revitalization, growth, and preservation of historic character through appropriate design, promotion, and economic strategies that improve our community. For more information about this program and how to get involved, please browse the Uptown website.